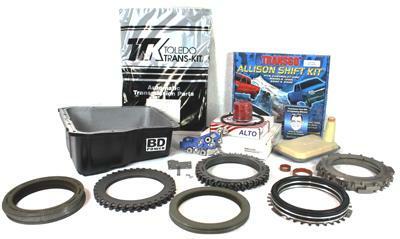 BD Diesel Build-It Transmission Kits - Dezod Motorsports Inc - Home of the automotive performance enthusiast since 2002. Are you a looking to rebuild your own transmission and needing some specialty parts to match your application? BD is offering a range of rebuild parts kits featuring the same parts we use in our own performance transmissions for the seasoned builder to complete the job. All kits include the basic rebuild parts and gaskets and have the added touches that range from stock HP up to our Stage 4 Master Kit. For an experienced builder these kits can be a big money saver as you will not have to deal with core charges and can save over $400 in freight charges!